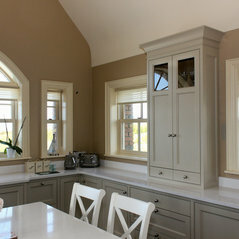 Higgins Woodcraft is a family run, fitted furniture business. 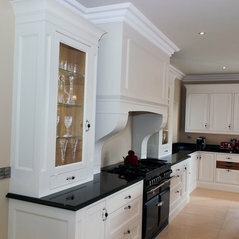 We have over 15 years experience in hand built cabinetry design, manufacturing and installation. We have an uncompromising commitment to quality and service. Our custom built cabinetry is not to be mistaken for a short term solution within your home or work space, but rather as an investment to supply all your needs and styled to suit your individual taste We strive to exceed expectations and we will ensure that all projects are not only outstanding but also excel in functionality. We aim for excellence using the very best cabinetry techniques. We use the finest quality American and European hardwoods and fit your bespoke project to the highest standard to maximize your investment and withstand the test of time. We provide a complete service from design to installation to make your dream project a reality.